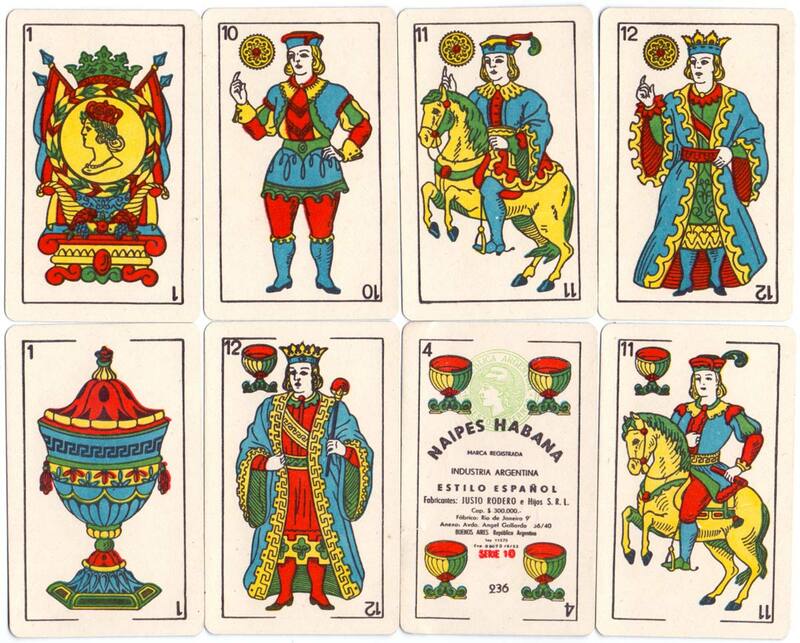 "Naipes Habana" manufactured by Justo Rodero e Hijos S.R.L., 1960. 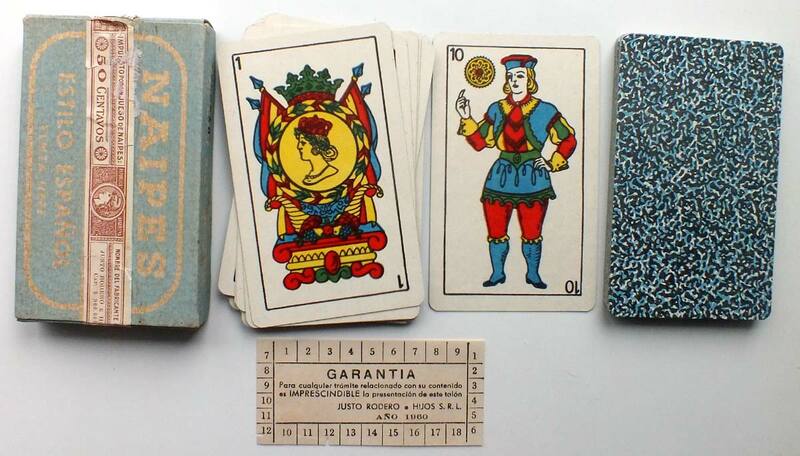 Above: "Naipes Habana" Spanish-suited playing cards manufactured by Justo Rodero e Hijos S.R.L., with the date 1960 printed on the control slip. The factory address given on the four of cups and box is Rio de Janeiro 935, with offices at Avda Angel Gallardo 136/40, Buenos Aires. 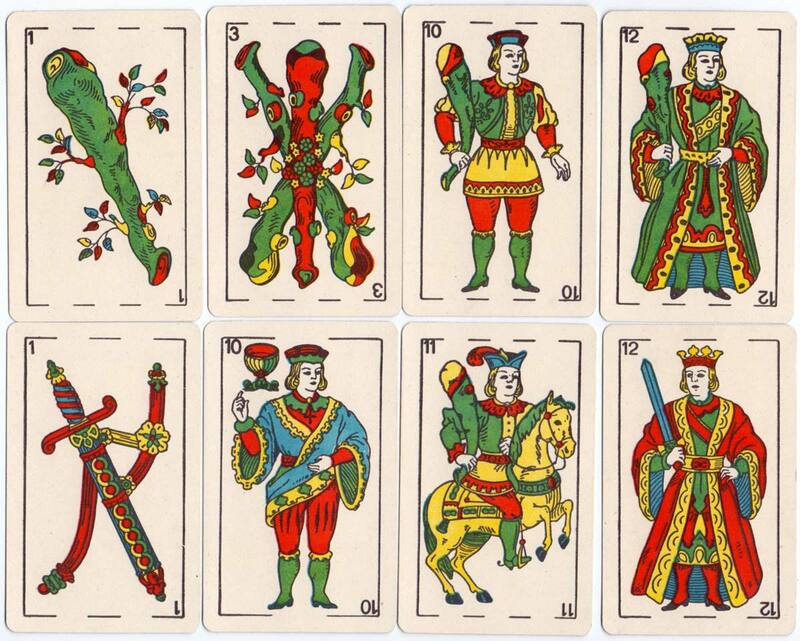 The design of the cards is exactly the same version of the standard Spanish Catalan pattern as that used in Naipes Casino. The random numbers printed on the lower part of the four of cups are manufacturer's control numbers and their exact meaning is unknown.